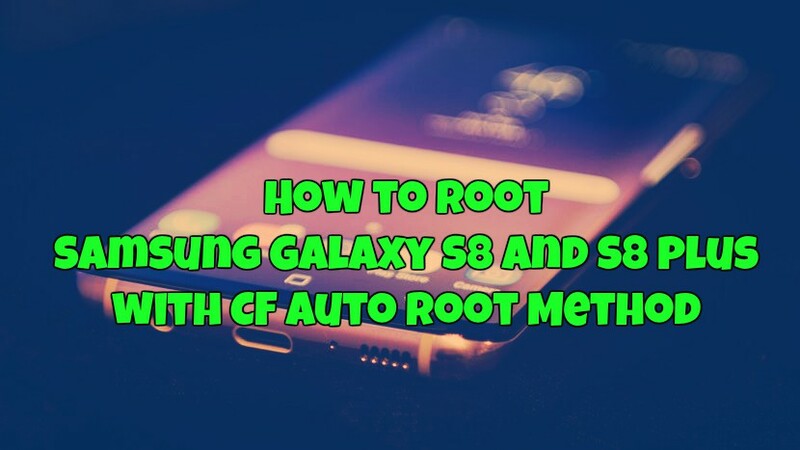 Want to learn how to Root Samsung Galaxy S8 and S8 plus with CF Auto Root Method? Yes, now you can root Galaxy S8 and S8+ by using the CF Auto Root method. Both the phones are available in the market and selling like a hot cake. Most of the Android lovers already bought these beat and wanted to root their Galaxy S8 to enjoy the benefits of rooting. Rooting has so many benefits like you can install rooted apps, Take the nandroid backup, install Custom ROMS, remove unwanted apps from the phone and lots more. But rooting has some disadvantages too… it will void the warranty of your phone and at the rooting process if something goes wrong your phone will be soft bricked. But you can easily unroot Samsung Galaxy S8 and S8 plus and fix the Dead Galaxy 8 quickly by flashing the Stock Firmware on the Samsung Galaxy S8 and S8 plus. 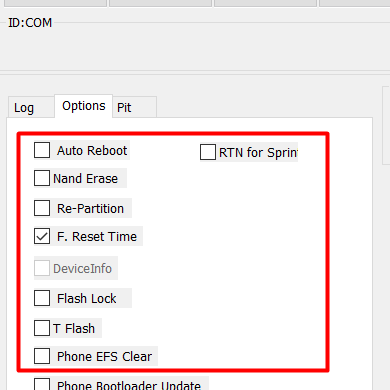 A few days back we posted an article to root the Galaxy S8 phones, in which we used the TWRP recovery to flash the Magisk zip file to gain the root access on the Samsung Galaxy S8 and S8 plus. But this is the different method and all you have to flash CF Auto Root file on your phone with the help ODIN flash tool. This guide is only for the Samsung Galaxy S8 and S8 plus users and don’t follow this method on any other Samsung phones. Make sure to take the full backup of the phone. Warning: Technobuzz.net is not responsible for any damage that might happen to your phone during this process. You’ll lose all your data upon unlocking bootloader. Verify your device’s model number by going into settings > about device section. 1. First Enable USB Debugging and OEM Unlock. To do this first enable USB Debugging, Go to Settings> About Phone> Software info, and tap the Build number repeatedly until you see a message that says “You are now a developer.” Now you will see the Developer Option on your settings page. Go back to Settings, Tap on it and scroll down the list to find OEM Unlock and USB/Android Debugging. Enable them both. 2. Now boot your Galaxy S8 into Download Mode. To do this, First, switch off your phone. Now press and hold the Bixby and Volume Down button and then press the Power button. 3. Once your phone in the download mode, Run the ODIN app on your desktop. And connect your phone with computer using a USB cable. 4. Now you should see Added!! message in the ODIN app screen. Tha means your phone is successfully connected. 6. Now on the ODIN screen click on the AP button and select CF Auto Root.tar.md5 file which you extracted earlier. 7. Make sure that only F. Reset Time option is checked. Every other option should be unchecked. 8. Now click on the Start button in Odin app to start the Cf Auto Root file. 9. It will take a minute at max for CF Auto Root to flash. Once the flashing PASSES, disconnect your phone and reboot it manually. Press Volume Up + Down + Power Key for a while to reboot the Galaxy S8. 10. On the first boot, you will see a warning that DM-Verity has been triggered and you need to RESET your device. RESET the device to boot into system. If the phone doesn’t ask for you to RESET the device, just boot the phone into the system. Skip this step in that case. Now you successfully rooted your Samsung Galaxy S8 and S8 plus using the easiest root procedure. For more update and tips join our Facebook page. Help!!! I am stuck at boot screen “recovery is not seandroid enforcing” error msg is displaying. Cant even switch off the phone. Now, just reboot the device to system. Is this method working on US variant of s8+?? just boot the phone into the system.